Ministry leaders who have followed the progress of the Pilot Program (a three year program, 2009 - 2012, where 13 Unity ministries participated in field-testing a new ministry practice) know that much of the program's design was informed by my doctoral work. I sought to formulate a research-based new paradigm of ministry based on Ken Wilber's integral theory that was aligned with second tier or integral imperatives. After the Pilot Program was launched, Wilber and I connected. He published an article I wrote for The Journal of Integral Theory and Practice in 2009 and cited my work in his latest book, The Fourth Turning (2015). The Pilot Program officially ended in 2012, and while the plan was to create the "next wave" to make available the successful modules to the field, funding issues limited the rollout of new materials to the production of seven Leadership Guidebooks (Welcoming System, Spiritual Gifts Discovery, Sacred Service Ministry Guide, Emotional and Spiritual Development Guide, Leadership Development, and Future Planning Guides 1 & 2). These guidebooks are available from Unity Worldwide Ministries for free to UWM members, and for a small charge for others. The guidebooks represent a synthesis of all of the learnings gleaned from the Pilot Program ministry leaders. Other elements of the Transformation Experience (TE) require on-site facilitation. This blog will document my efforts to replicate the successful modules developed for the TE, in addition to implementing the practices described in the guidebooks mentioned above. I am often asked by colleagues how to begin to move forward with adopting the Integral Model of Ministry. 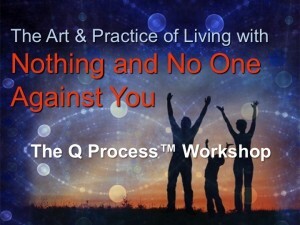 The most important first step is to begin to bring people into the Art & Practice of Living with Nothing and No One Against You program and the 21-Day Q Process™. We were told by Pilot Program ministry leaders that they wished that their entire leadership and culture of ownership had gone through the Q Process™ prior to engaging the Pilot Program modules. 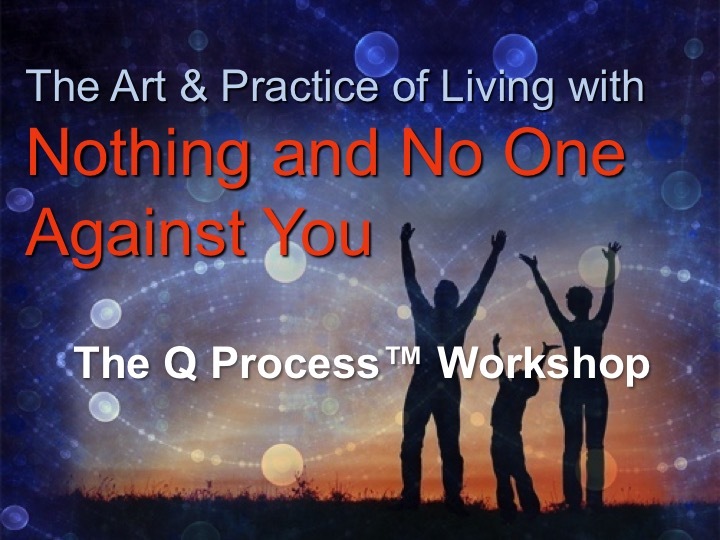 The Q Process™ workshop is a program that teaches participants how to use a 21-Day self-directed aware-apy process that systematically helps them to identify their own personal shadow qualities (limiting beliefs) that underlie life-long dysfunctional patterns and ways of being. They learn about quantum and brain science as well as techniques for managing trauma and disarming triggers. They develop a powerful new context for their spiritual journey that is rooted in self-compassion, self-reflection, and authentic action. To listen to numerous testimonies as to the value and benefit of the Art & Practice program and Q Process™, go to unity.org/transform. We just completed the first round of a series of Q Process™ workshops scheduled through the fall here at Unity Spiritual Center. I privately invited the Board, ministry leaders, and individuals in our financial and volunteer core to participate in the first workshop. Forty-five people responded to the invitation. My goal is to have 150 community members master the Q Process™ by the end of this year. After that, we will repeat the program at least twice a year and ultimately make it a qualification for organizational roles in the future. I must say, having facilitated the program for thousands of people since 2008, this was the first time I presented the program to an audience that is also the leadership of the ministry I serve. I was unprepared for and overwhelmed by the depth of connection and compassion the participants felt toward one another. Some of them have been together at the church for decades, and are now reporting that after having gone through the workshop and the Q Process™, their sense of intimacy and caring for one another has increased ten-fold. As in the movie Avatar, they now "see" each other for the first time. They hands-down believe that the program should be a qualification for governing membership. Jane's and my efforts to go "all in" on the Art & Practice early in our tenure is to create a community-wide practice for dealing with discomfort--the same tool that everyone in the ministry can use to awaken their own emotional and spiritual maturity. Those familiar with the Q Process™ understand the expression: "I need to do a worksheet on that." Or, "you need to go do a worksheet on that before you talk to..." In six months, we will create a tipping point around the Q Process™ where the majority of the congregation is practicing and using the same tool for managing "not enough". Written by Gary Simmons, Th.D. Dr. Simmons is an author, teacher, minister, and ministry consultant. Having implemented peacemaking and transition consulting in more than 300 New Thought organizations, Dr. Simmons’ contributions have been recognized with multiple awards, including the “Expanding the Dream Award,” and, in 2004, the prestigious Myrtle Fillmore Award for embodying the heart of Unity in his ability to help heal divisions. His is the author of The I of the Storm: Embracing Conflict, Creating Peace, a Unity bestseller now in its sixteenth printing and co-creator of The Q Process and The Art & Practice of Living with Nothing and No One Against You. His latest book is The Soul's Conspiracy: Master Conflict and Transform Your Life. Dr. Simmons received his doctor of theology degree from Holos University Graduate Seminary and is an adjunct faculty member for Holmes and Unity Institutes. He holds a fourth-degree black belt in the martial art of tae kwon-do and is an experimental aircraft pilot currently building his fourth airplane. He lives with wife, the Rev. Dr. Jane Simmons, a Unity minister, in Spokane, WA were they both serve as co-ministers of Unity Spiritual Center Spokane. View all posts by: Gary Simmons, Th.D.